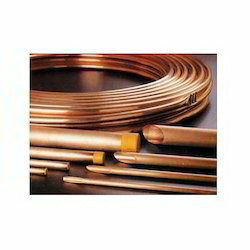 Our product range includes a wide range of copper nickel brass tubes. Unit Length 20 m Max. Amidst our wide range of products, we are also engaged in offering a superior quality Copper Nickel Brass Tubes Our offered nickel tubes are manufactured using modern technology and premium quality raw material in sync with industry norms. Apart from this, these tubes are tested on different quality measures so as to ensure their quality. Our valuable clients can avail these tubes from us at nominal prices. Looking for Copper Nickel Brass Tubes ?